Looking for a way to be a more knowledgeable Packers fan? Want to surprise family and friends with facts about the Packers that will make them envious of you? * The stat that John Kuhn shares with only two other players in NFL history. * The Packers win-loss record when Aaron Rodgers has more interceptions than TD passes in a game. * How the Packers are only a .500 team in the last 15 years when they play games outside their time zone. * How the Packers are the best NFL team when it comes to the last game of the NFL regular season. * Based on statistics, why receiver Randall Cobb is one of the greatest runners in NFL history. That’s just a sample of what this book contains. The overall theme of this book (and the focus on my writing and researching it) was to provide stats and numbers that readers will say, “I did not know that” when they read the 250 stats. I think this could be a great fun read for Packers fans and football fans in general. 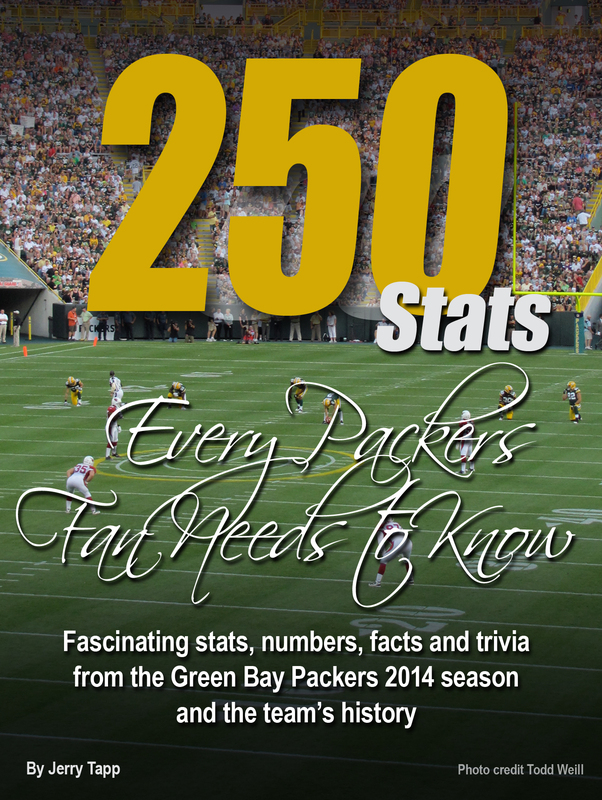 Written by Jerry Tapp and published by Book Baby, “250 Stats Every Packers Fan Needs to Know” is now available in ebook format for Nook and Kindle (cost is $9.99). Printed versions of the book will be released on September 10 )cost is $12.99); Amazon and Barnes & Noble are currently accepting pre-orders for the book.